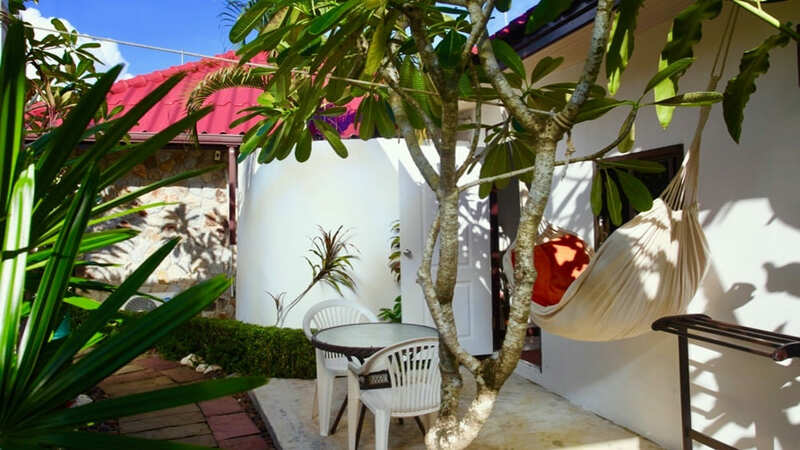 Separated on the same site of the Sunshine Villa is Sunshine Guest House, with two modern, large rooms (27 m²) and an integrated Bali Bungalow (16 m²). 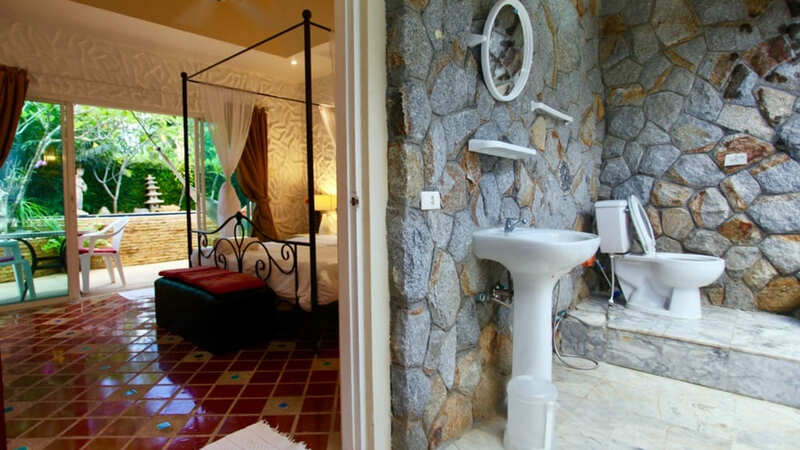 In the two rooms individually shaped bathtub are recessed. 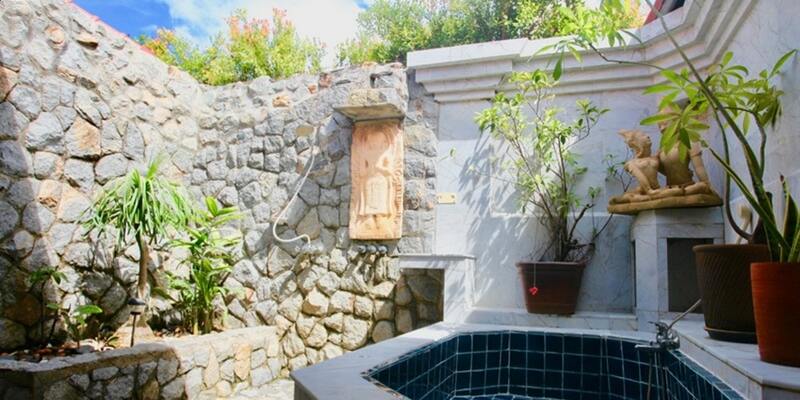 The separate bathrooms have hot water showers. 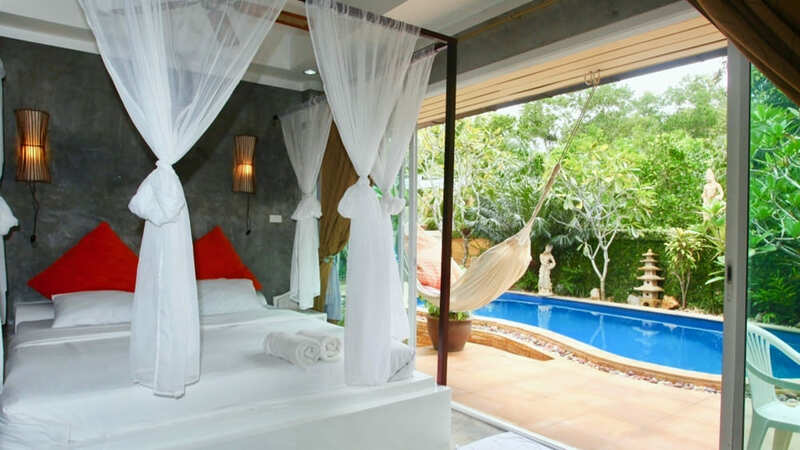 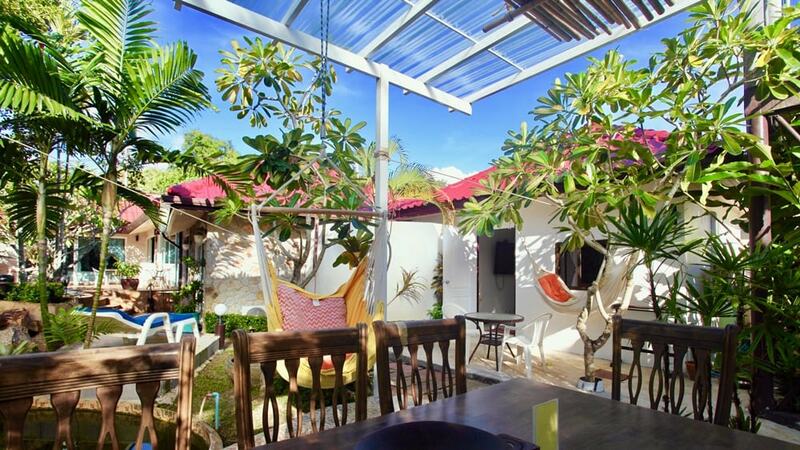 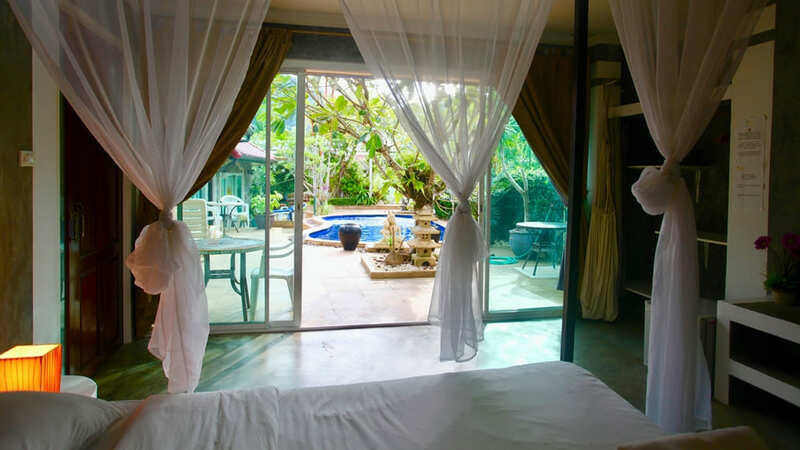 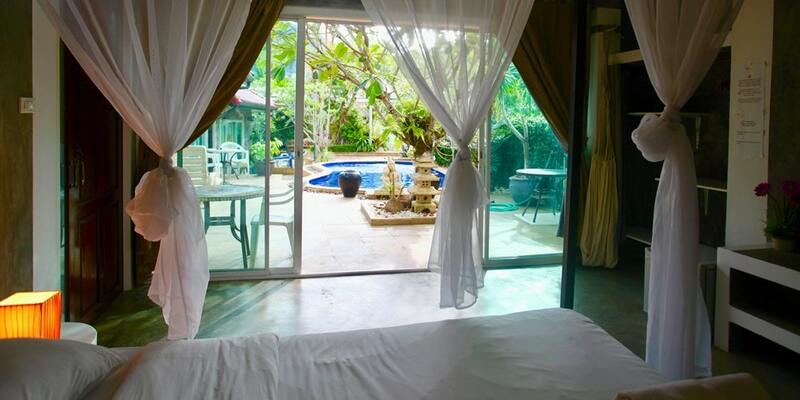 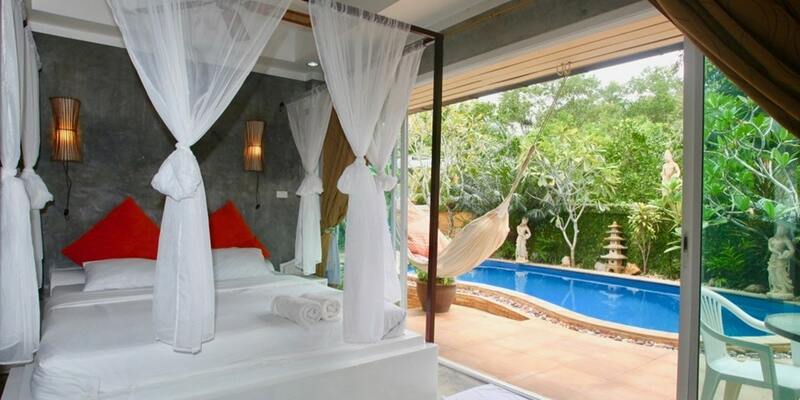 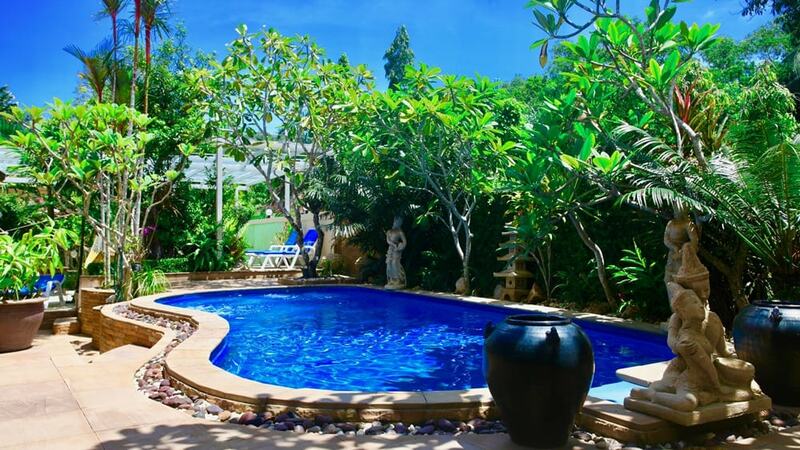 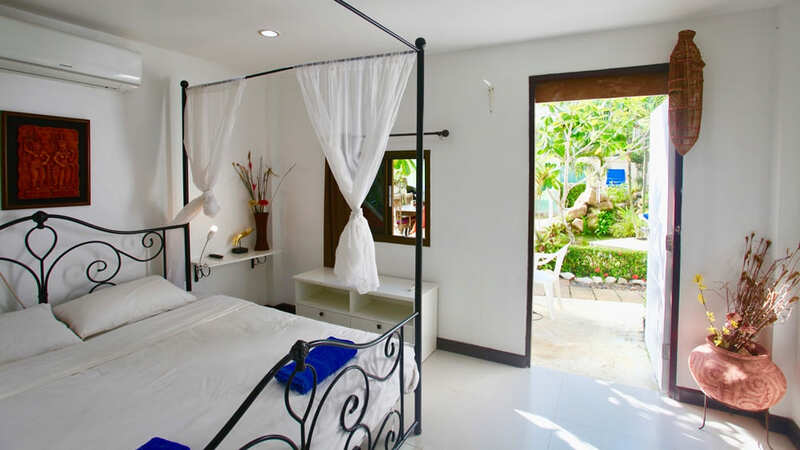 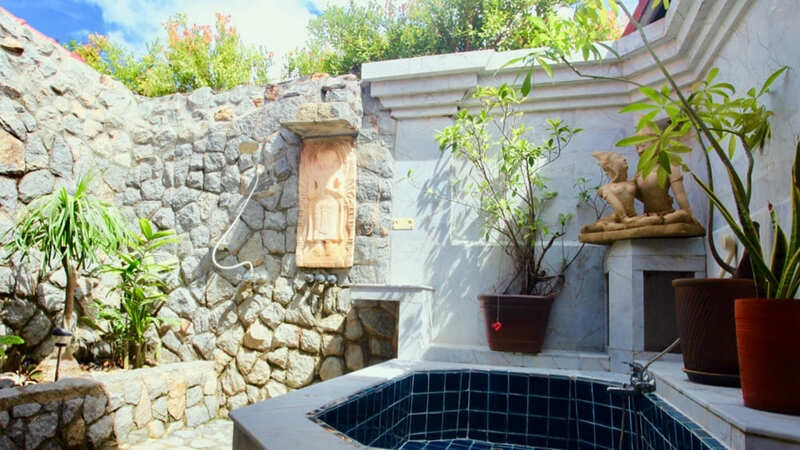 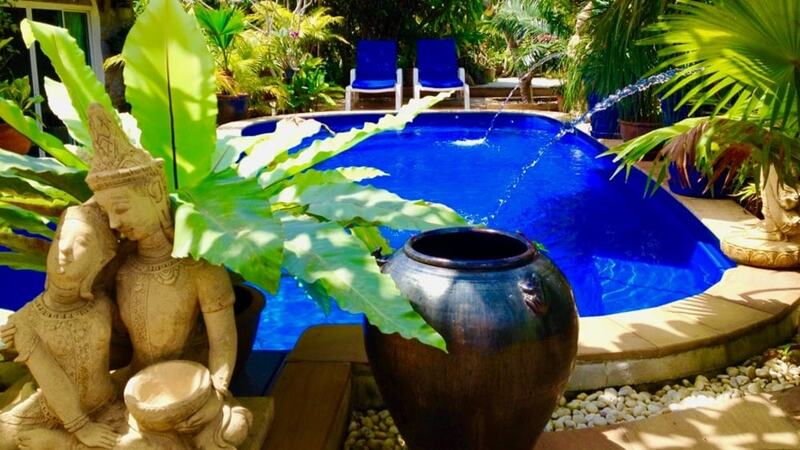 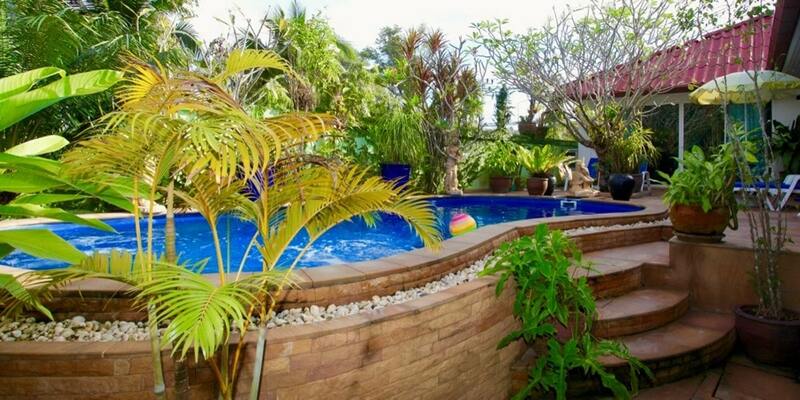 The Bali Bungalow has a large open bathroom (14 m²) with a spectacular waterfall shower and a huge bathtub. 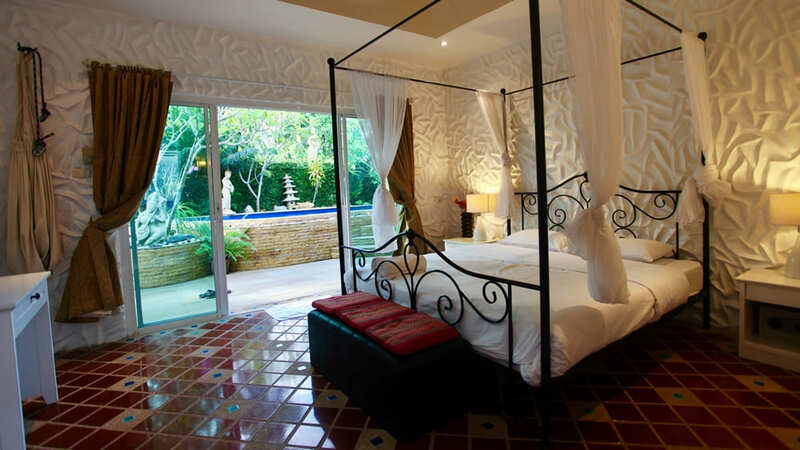 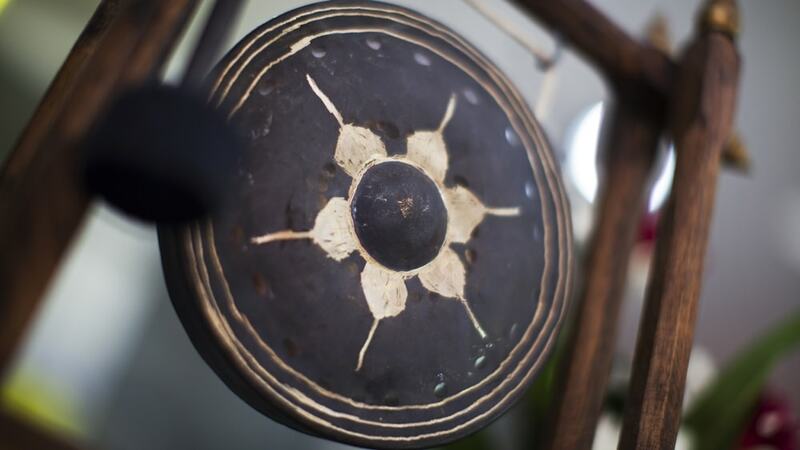 From the room terraces you have a magnificent view overlooking the tropical landscaped courtyard with fish pond and a secluded terrace for our guests. 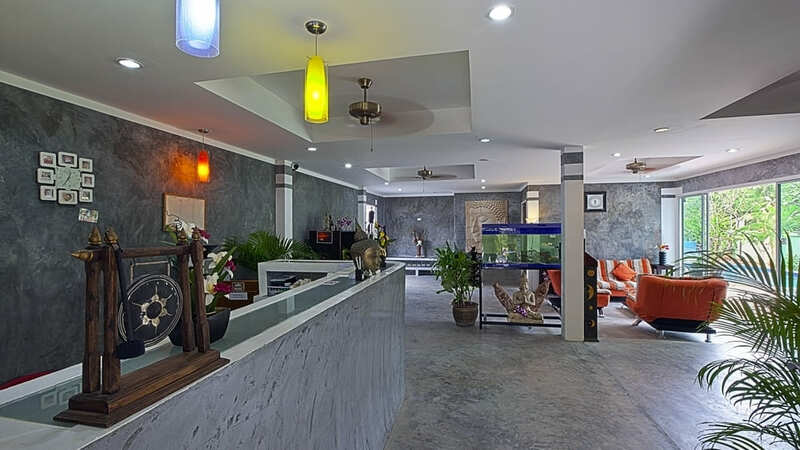 The spacious reception area radiates with a comfortable sofa, designer sofa and many pleasant interior from Southeast Asian creates a nice holiday atmosphere. 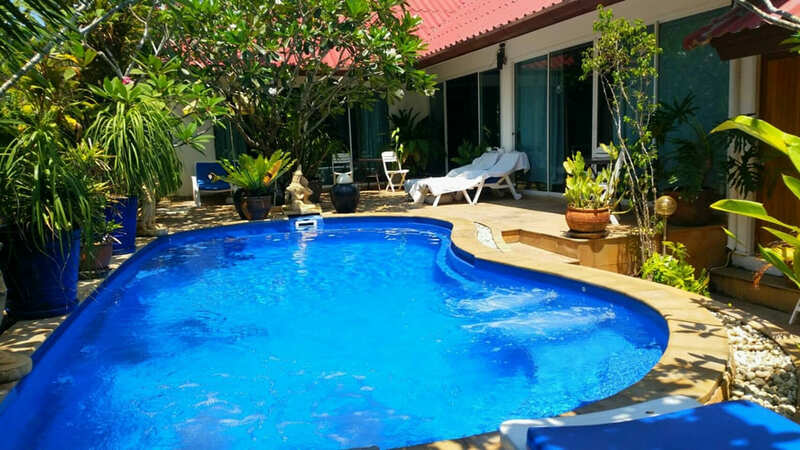 Our friendly, multilingual staff (German, English, Thai) will assist you in planning and booking of leisure and sporting activities, rental cars, scooters and further travel. 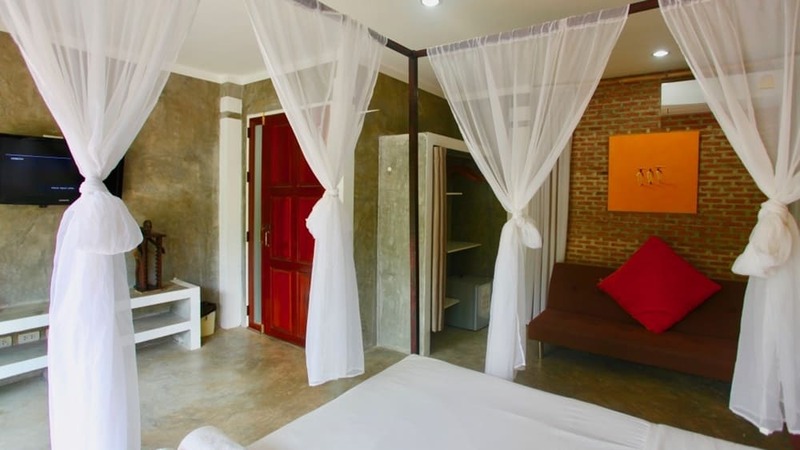 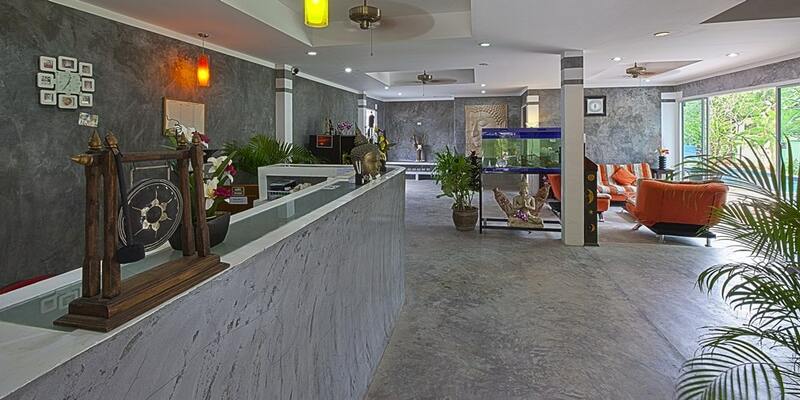 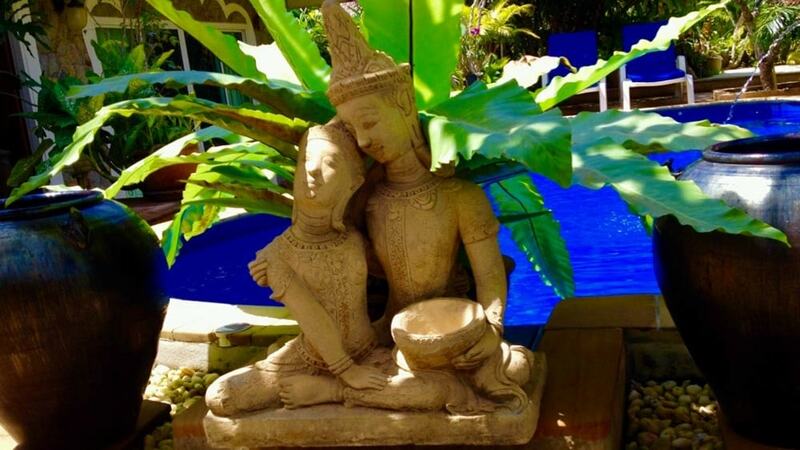 The Sunshine Guest House is a perfect combination of affordable housing in pleasant, thai traditional and modern living for singles, couples, romance travelers, families, families with teenagers, families with young children, girls getaway, tourists without a car, people with disabilities, sightseeing, activity holidays and world travelers. 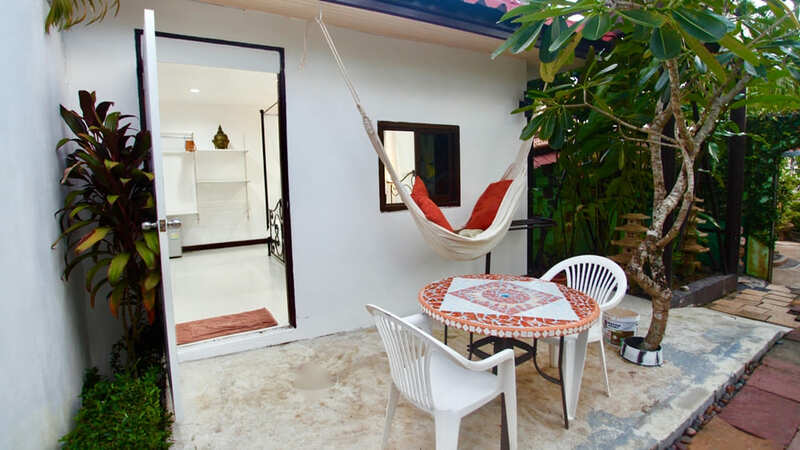 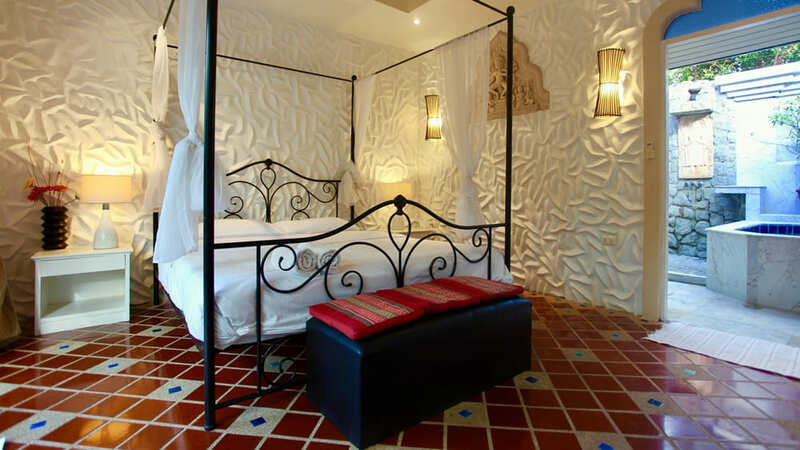 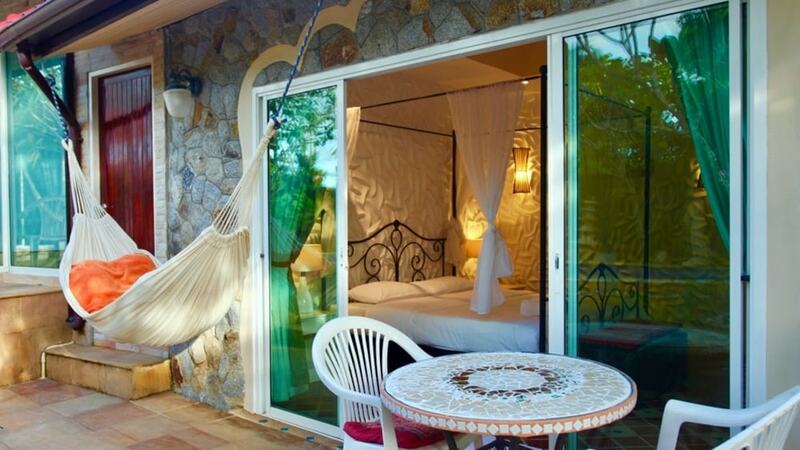 Suitable for: Wheelchair access (Room 1), suitable for children (families), business stop-over travelers, small groups of friends, honeymooners, singles, traveling sales persons, pets allowed. 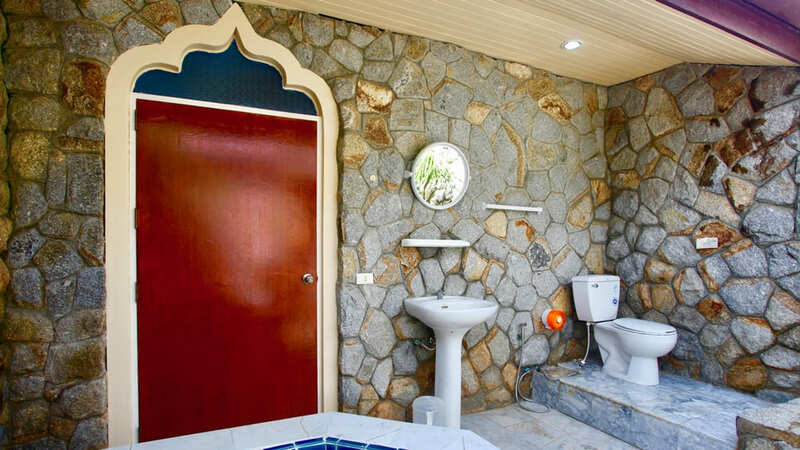 Note: For reasons of hygiene it is not permitted to prepare food and hot drinks of any kind in our Sunshine Guest House in the rooms! 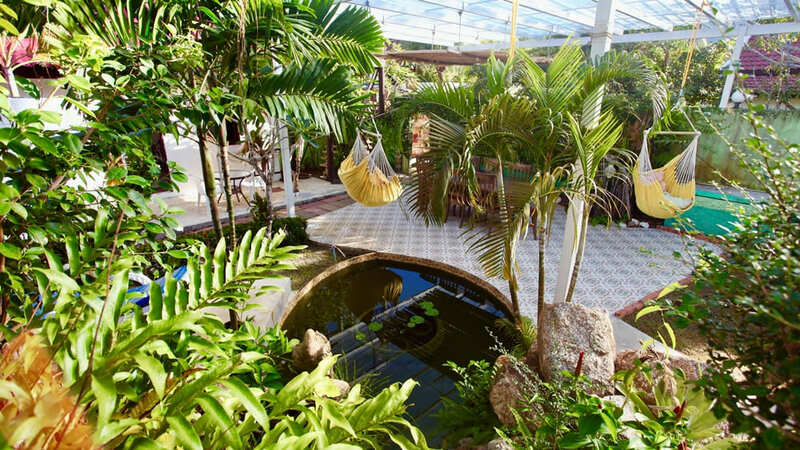 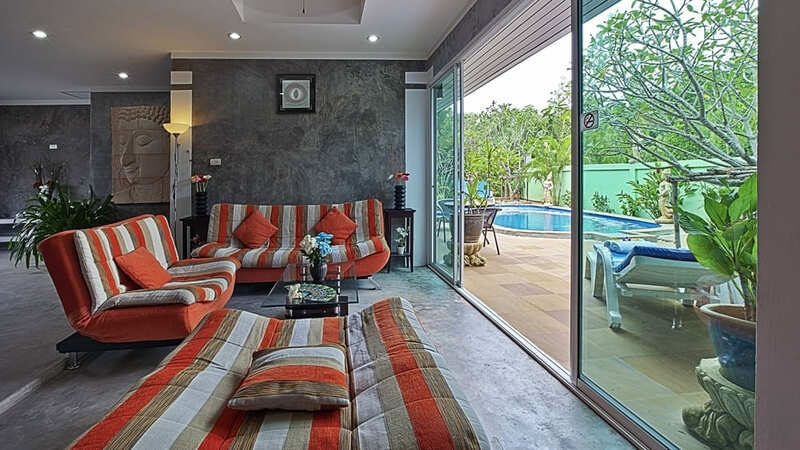 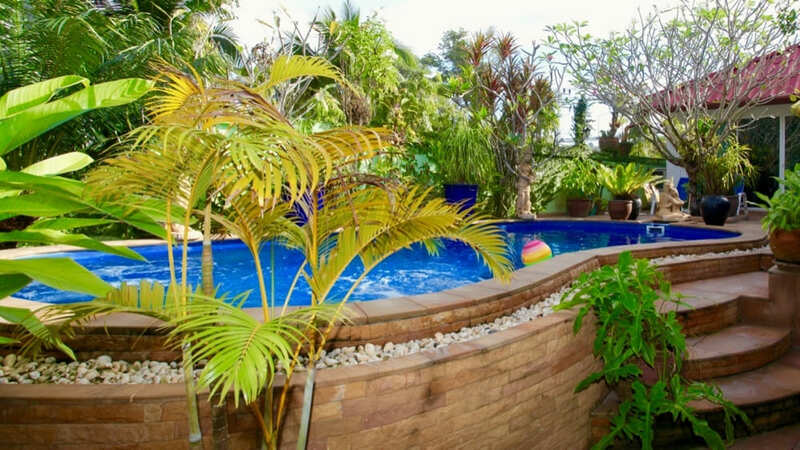 Outside: Tropical courtyard with comfortable seating terrace and garden pond with waterfall, room terraces, parking facilities in front of Sunshine Guest House.